Want sweet fruity snow cones without the hassle of renting a snow cone machine for your next party? 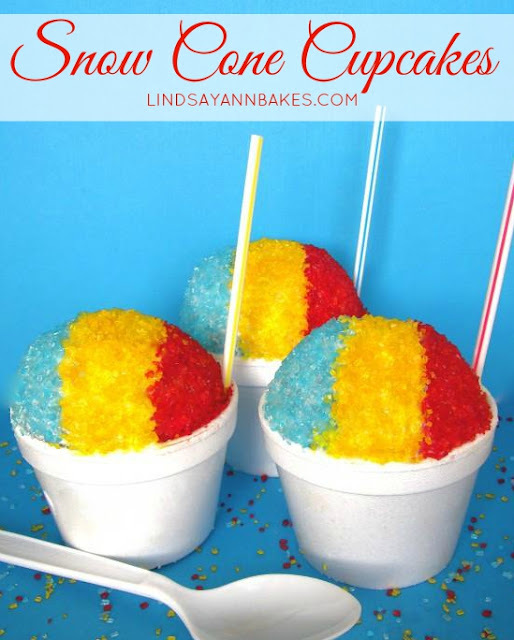 These snow cone cupcakes look just like the real thing, they're the perfect melt free alternative for your next bbq, party or summertime get together! Bake pineapple cupcakes (or fruity flavor of your choice) as directed in a standard muffin/cupcake pan. While cupcakes cool add cherry flavor (or fruity extract of your choice) to prepared frosting. Get creative with your cupcakes and try mixing your favorite summertime flavors, such as coconut/pineapple or raspberry/lemon. A fruity flavored cream cheese frosting works great! Frost cupcakes with a spatula or knife, creating a smooth dome shape. 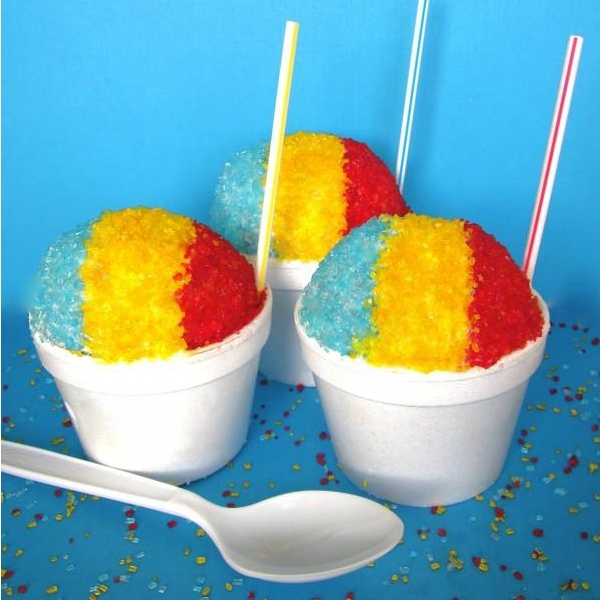 Pour red, yellow, and blue sanding sugar onto 3 small plates or bowls, for a traditional snow cone look. 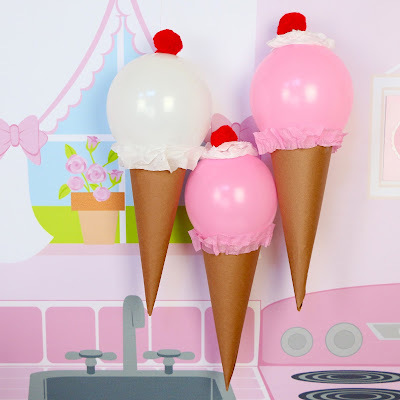 You can also top your entire cupcake in a single color of sanding sugar, or even do half and half with two colors. Roll one side of your cupcake into red sanding sugar, covering 1/3 of your cupcake. Roll the opposite side in blue sanding sugar, leaving a strip of exposed frosting down the middle. 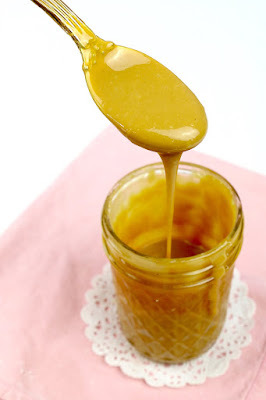 Sprinkle yellow sanding sugar down the middle, with a spoon or by hand. 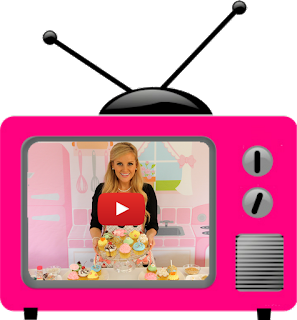 Make sure the entire cupcake is covered with sanding sugars and no frosting is left uncovered. Repeat with remaining cupcakes. 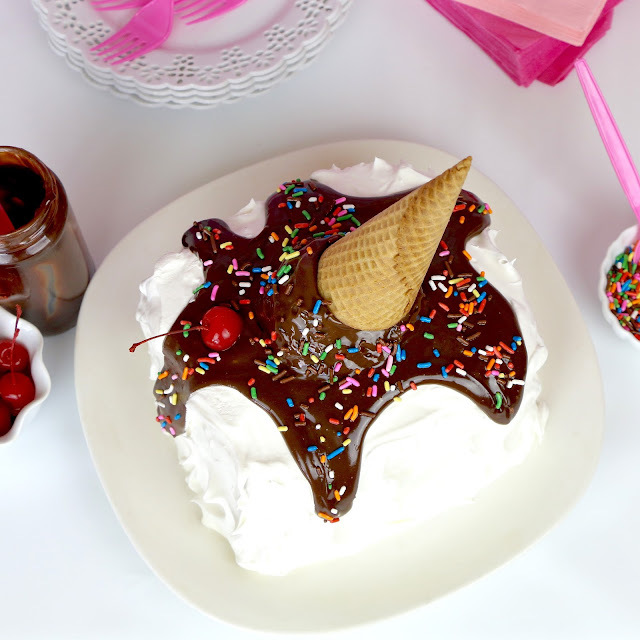 Click here to check out more Ice Cream Themed Recipes & Treats!